If your dad is a traveller, he needs a place to throw his supplies while he’s on the road. And every Dad needs a place to stash cash, his cards, photos and mementos! We’ve gathered some of our favorite tutorials and patterns for DIY travel bags and wallets to share, just in time for Fathers Day. 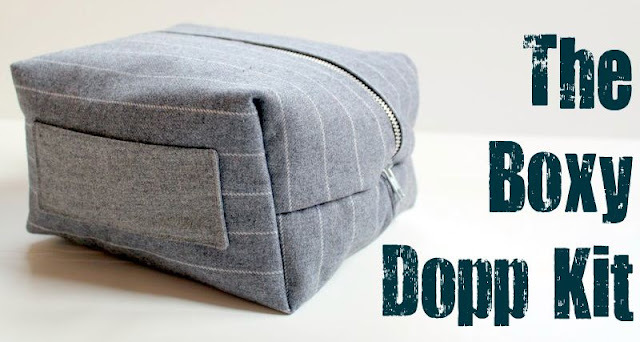 This little ditty bag is the perfect size for travel. Lindsay from The Cottage Home gives you the how-to. Make one from recycled suiting, or choose a fabric that reflects your Dad’s sensitivities. This messenger bag is a great gift idea; not only does it look cool, but you can use one of Dad’s old shirts to make it! The Crafty CPA shows you how to get it done. If your Dad does a lot of travelling, this Road Warrior trip organizer will help him keep tickets, maps, and notes together in one place. The folks at Interweave shared this awesome project as a free download for members of SewDaily.com. Join for free, then just click the “Download” button on the project page. Every guy needs a wallet with lots of pockets to hold cards, cash, and photos. Allisa gives all the instructions for making the man in your life a wallet with pockets galore! A rockin’ Dad needs a Rockin’ Wallet! Aubrey from Maubys shows you how to stitch up a sturdy wallet, customizable with any fabric you wish. Get Aubrey’s tutorial from Maubys.net.